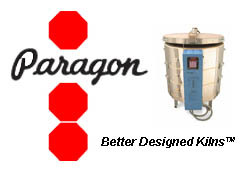 A complete line of ceramic equipment and pottery supplies for over 40 years. We are delighted to have you visit our web site! We are always working to add more content and educational information for you for many of our products. E-mail us in the meantime if you have trouble finding anything you need or want. American Ceramic Supply Co. has been at the forefront of education and training in the ceramic industry for over 40 years. We are master distributors for many major brands of ceramic equipment and supplies and a certified education center for Orton Ceramics. We believe if we educate our customers properly, you have a better chance for success with all your ceramic, pottery and glass projects. If you have success, you will like what you are doing and grow with the craft. We love helping bring new enthusiasts to the industry and continuing to bring new products, projects and innovations to our existing customer base. It is why we are still here after 40 years! 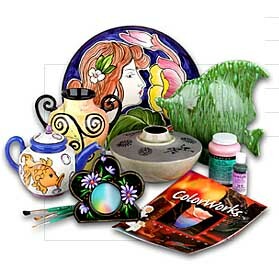 Paint Your Own Pottery Studio web site with info on how to get your business open soon. over the phone or email for a quote. 2017 & 2018 Best of Fort Worth Awards Arts Organization! 2014 & 2015 & 2016 Best of Fort Worth Awards for Arts & Crafts Equipment & Supplies! Caution - This entire web site and all images, content, informations and materials are protected under the Intellectual Property Copyright Laws, the Berne Convention and the Digital Millenium Copyright Act. Violators will be pursued to the full extent of the law whether intentional and willful or unintentional.